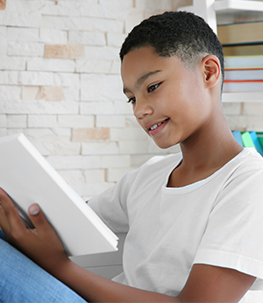 At Creative Genius Publications, we believe that each child is unique and that standardized testing and curriculum will standardize what children know and perhaps how they think. Combined with multimedia entertainment, this leads to children spending little time thinking and daydreaming. Without practice, the natural wonder and creativity of children will wither and fade away. Our activity books are designed to inspire creative thinking and to encourage lifelong creativity in our children. Pick up your copy of SPARKS today and give the child in your life a world of inspiration. Give your child the gift of creative problem solving with SPARKS. 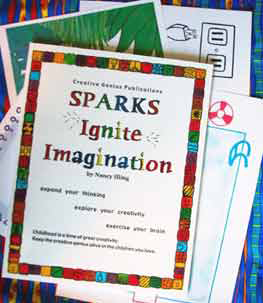 SPARKS books by Creative Genius Publications are designed to inspire creative thinking for a variety of problems. 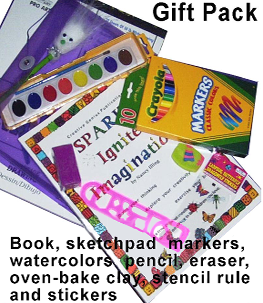 The books are mostly visual with content focusing on creative activities. Each activity is open-ended, allowing children to create their own solutions. Founder Nancy Illing started the company to deliver quality creative activities that give a child a beginning and let them make their own decisions to finish each picture or problem. This allows children to expand their creative drives instead of memorizing information and consuming multimedia. Since 2002, we have been dedicated to delivering quality service. Each order is received, packed, and checked by a human being. Join us in freeing children and their imaginations and give SPARKS or a gift pack to a child you love today!